The term "pit bull" is often used as a blanket term for dogs that resemble the American Pit Bull Terrier or the American Staffordshire Terrier. All of the above breeds are distant relatives. Their ancestors are the Bulldogs of long, long ago which were used in dog fighting and bull baiting. Over time, each breed was developed differently. Unfortunately, some illegal dog fighting rings are still in operation. The dogs used to fight are often variations of the American Pit Bull Terrier or the American Staffordshire Terrier. This is likely because they possess the strength and bravery of the old fighting bulldogs along with the tenacity and agility of terriers. A dog that was deliberately bred from a line of aggressive dogs is more likely to have natural aggressive tendencies. A dog that is never properly socialized is more likely to be aggressive. A dog allowed to roam free or left chained up and alone is also more likely to develop aggression. Intact male dogs are statistically more likely to show aggression towards other dogs. Unfortunately, pit bull-type dogs are sometimes preferred by irresponsible people who wish to use them for profit (illegal fighting), as guard dogs, or even to "toughen up" their own images. Many were bred for aggression and will continue to be bred that way. Often, the dogs are not neutered/spayed and may be left chained up or allowed to roam free. It's the perfect storm for creating more aggressive dogs. Sadly, it's a cycle that is difficult to break. Most supporters of Breed Specific Legislation (BSL) hope to see all pit bull-type breeds banned. They believe that all pit-bull dogs pose a risk. 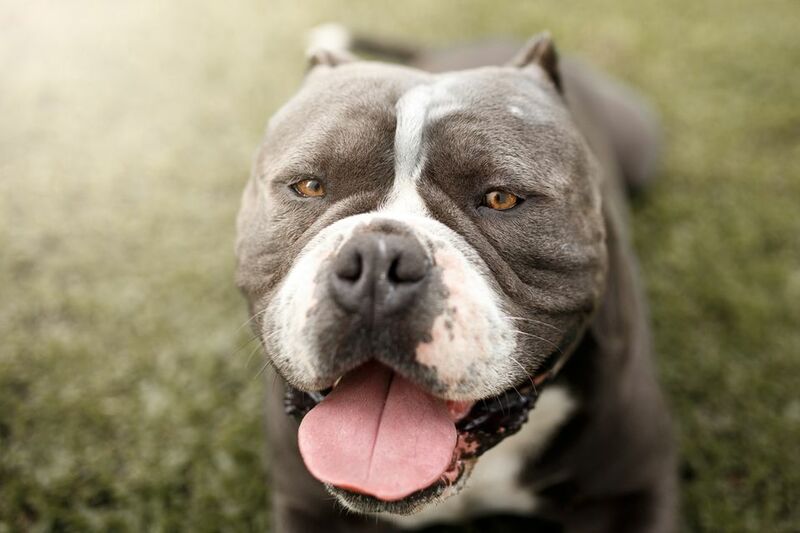 Opponents of BSL feel that the banning of breeds will not correct the problem. Instead, the wrong people will still find a way to get the dogs or they will simply move on to a new breed/type of dog. They feel the solution lies in the prosecution of bad owners as well as educating the public. It is important to know that most pit bull-type dogs with responsible owners are not dangerous dogs. In fact, many are affectionate companions. However, if you choose to adopt a dog with an unknown history (whether it is a pit bull type or not), the dog should have temperament testing done first. Dangerous dogs come in all shapes, sizes, and breeds. There are dangerous pit bull-type dogs, but there are also dangerous Labrador Retrievers, Poodles, etc. If you encounter an unknown dog, you should always exercise caution to prevent dog bites, regardless of breed. Why Are Certain Dog Breeds Considered Dangerous?